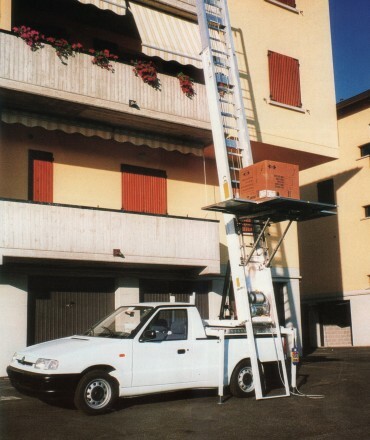 Our Pick-up lift "Magica 2000" was designed to meet with most handling requirements. The system is very quickly put in place and ready for use in a few minutes. 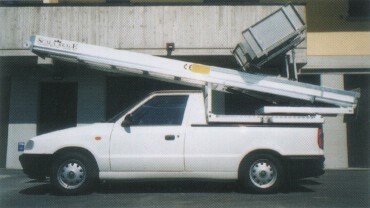 When the ladder is folded, the unit features small and compact dimensions, which allows driving it as any other common vehicle. The lift is also quickly unloaded from the pick-up so that they may be used at the same time for different operations. 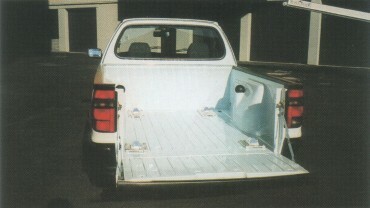 When the lift is unloaded the pick-up body is empty and available for any other application. Magica 2000 is available in 18 and 21.1m versions both featuring 200kg capacity. All operations are electrically controlled and it is possible to equip the lift with hydraulic stabilizers. Very high quality standards, top technical reliability over several production years as well as a strong and easy construction make this unit an ideal system for moving furniture in and out of elevated floor apartments. Finally the small size and reduced vehicle weight assure very practicable and safe driving. Magica 2000 is finely finished with an aluminum anti-slip frame protecting the lift chassis. 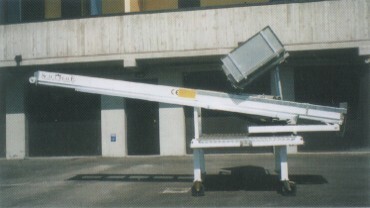 The lift can be quickly and safely unloaded from the pick-up to stand-alone and work independently or even left in the warehouse for individual use of the pickup. 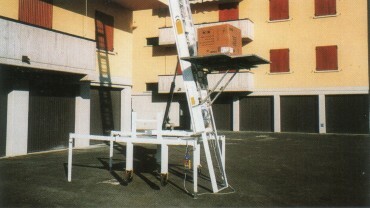 The lift base may be equipped with own wheels for easier transfer. After unloading of the lift the pick-up body is empty and ready to be used for other transportation purposes. 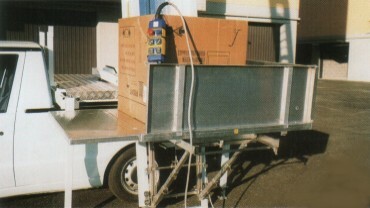 The lift is standing off the pick-up and working separately. All telescopic sliding sections are made out of aluminum EN AW-7020 assuring 200 kg load capacity. All operations are performed electrically and controlled on a push-button panel; on the top of the lift a push button for down and stop operation is available. 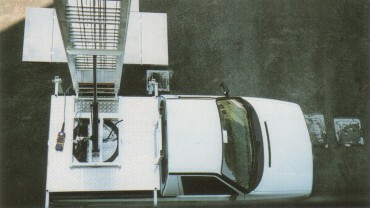 The loading platform may be rotated to fit into the windows or balcony size. A platform extension makes loading and unloading easier. All 3 platform platform extensions are removable and suitable for either horizontal or vertical setting. Platform dimensions: folded 1230x830 mm; extended: 1990x1210 mm; platform extensions height 380 mm.